Enjoy a rewarding volunteer experience by driving cancer patients to their treatments and cancer-related medical appointments. Help to directly support cancer patients and their families by ensuring those who cannot get to treatment have a safe ride there. 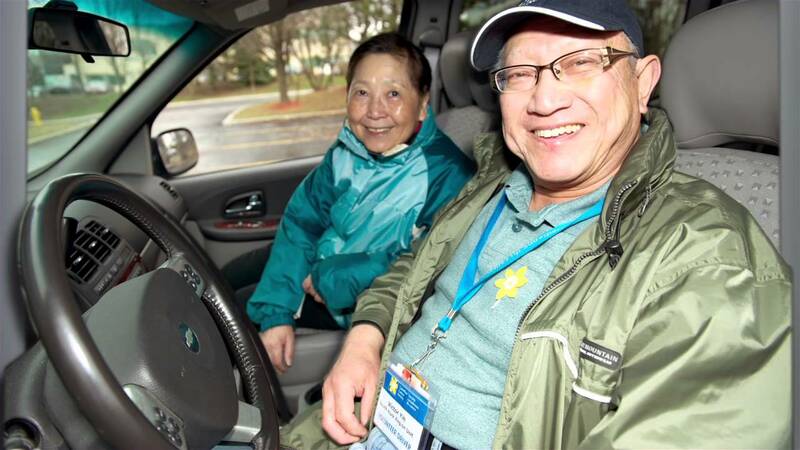 The Canadian Cancer Society is urgently looking for Wheels of Hope volunteer drivers to drive cancer patients to their treatments and cancer-related medical appointments. This is one of the most rewarding volunteer experiences as you get to give one on one direct support to cancer patients. Volunteers can pick their own availability and work around their own commitments. Drivers are given a minimum of 3 business days notice before being asked to drive any patients. Drivers can also accept or decline any rides they are asked to do. You must have a vehicle in good working order. Mileage is reimbursed for volunteer drivers. If you have a car, time to spare and would like to become a volunteer driver, please provide your details on the volunteer form below “Click to Volunteer”.